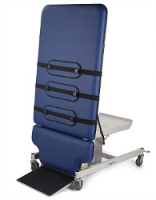 The High Capacity Tilt Table has been specifically designed for bariatric use. 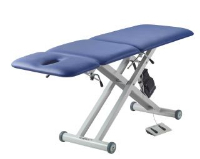 Unique in its design, it is the only Tilt Table available capable of safely lifting and tilting up to 350kg and allows the patient to walk on and walk off the bed using the electrically operated plantar/dorsiflexion footplate which meets flush with the floor minimizing any tripping hazard. 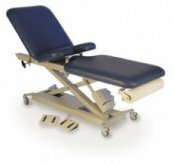 The Tilt Table is supplied with 3 adjustable patient straps, twin multi-function hand switches and side locking castors. It is also available with an optional digital weighing system accurate to 0.1kg.